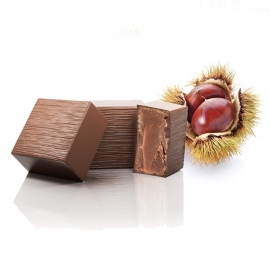 Like a culinary delicacy, the flavours of gianduja melt away in the mouth, revealing a blend of fine hazelnut paste and rich cream. 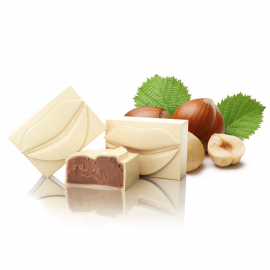 Milk chocolate coating a thick, pure hazelnut paste. 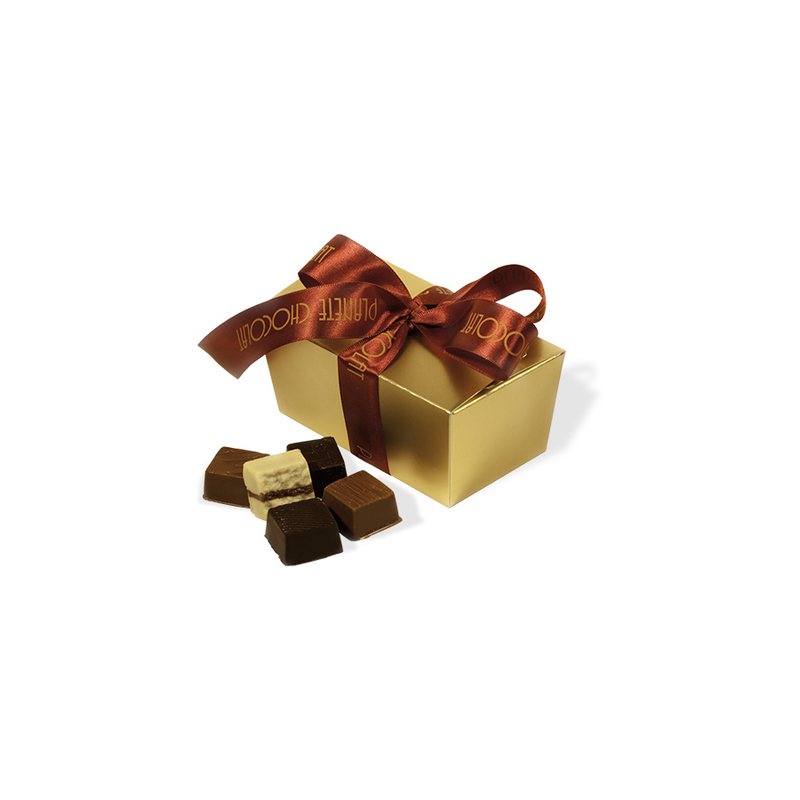 The more traditional allows lets you enjoy it as a delectable pleasure throughout the day. 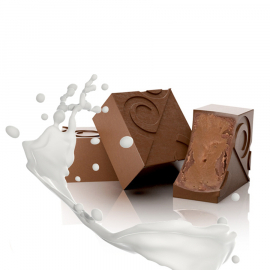 The design on the chocolate represents an oriental arabesque. 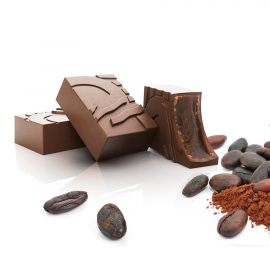 According to legend, Xocolatl, the language of the gods, was whispered in Romeo’s ear, and was a language he alone seemed to understand…the intensity of the chocolate is due to the presence of pure cocoa powder, assaulting the palate. 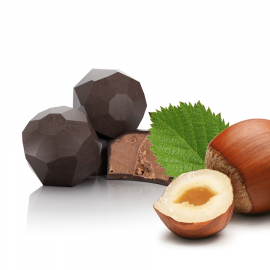 Once bitten, the aroma of the hazelnuts literally takes possession of the nostrils. 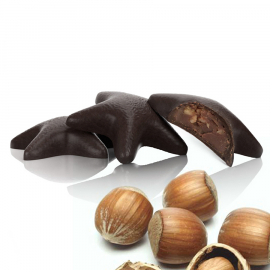 Simultaneously, the whole flavour of the hazelnut delicately permeates the chocolate, arousing the senses. 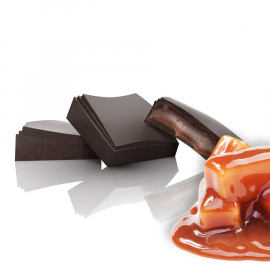 Fall flavors fully inhabit the praline. 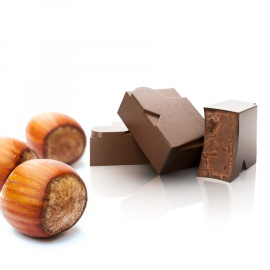 The hazelnut complements the chestnut honey, giving this ganache a persistent woody and full-bodied taste. 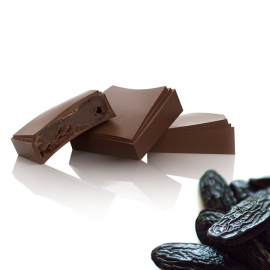 The tonka bean has an almost musky, vanilla-like flavour that amplifies the feel of the chocolate, refines its flavour and prolongs your pleasure. 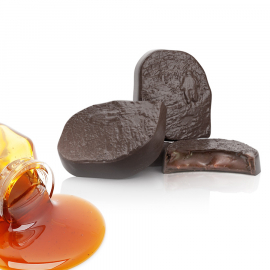 Chocolate lovers will find this an irresistible after-dinner delight. 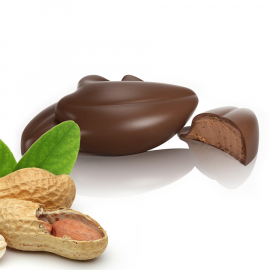 The milk chocolate accentuates the sweetness of the ganache and contrasts the mild saltiness of the peanut.